Making Sense of Russia’s Syria Intervention | The Hollings Center for International Dialogue | The Hollings Center for International Dialogue is a non-profit, non-governmental organization dedicated to fostering dialogue between the United States and countries with predominantly Muslim populations in the Middle East, North Africa, South Asia, Eurasia and Europe. The Hollings Center and PONARS Eurasia organized a panel on February 5, 2016 entitled Making Sense of Russia’s Syria Intervention. The panel brought together local experts and speakers from Turkey, the US, Russia, and Armenia to discuss why Russia intervened in Syria, what it expects from this action, and what the implications are for its regional and bilateral relations. The aim of the panel discussion was to go beyond mainstream media headlines and come to a better understanding of the motivations and the objectives of Russian actions in Syria through a dialogue of diverse experts. From the international community’s viewpoint, Russia’s military intervention in the Syrian civil war was a method of reasserting itself on the world stage as a regional actor that needs to be accommodated in any regional arrangements that may result from the conflict. Russia is not genuinely interested in improving the situation in Syria, but is more interested in gaining an upper hand – both militarily and politically – in its proximity over the usual actors here such as Europe, Turkey, and the US. Russia’s Syria campaign was the first time it used a combination of air, navy, and land forces to project its military might overseas, and it caught the international community off-guard. Russia probably took these actions because it predicted that a no-fly-zone would be created over Syria, and as a supporter of Assad, it needed to act. According to a panelist who is an expert on the Russian military, Russia is using its new technology very carefully in Syria, making precise calculations of the cost of using certain weaponry, deciding whether their use will be both militarily successful and impressive to potential opponents. In most cases, the goal to impress is worth the additional cost. For example, although Russia could have used its aircraft already present in Syria to carry out an operation, they chose to launch missiles from ships in the Caspian, solely to prove they were capable. Furthermore, Russia’s presence in Syria has shown the integration among Russian military services as well as their potential in working with international partners as well. All of these factors combine to show and prove the competence of Russia’s war fighting capabilities. While Russia’s geopolitical prowess is a source of discomfort and discontent, it might also be providing the necessary momentum to bring together the necessary players around the table. In other words, it is now more costly both to Syria and to the regional actors with a stake in the conflict to walk away from negotiating. As one participant put it, “Russia may have woken up Washington on both Iraq and Syria.” This view met stark criticism from some of the audience, especially in light of the Geneva III talks being suspended around the time this discussion was taking place. However, a couple of weeks later, the US and Russia agreed on a ceasefire, which was accepted by the Syrian government as well as some of the main opposition groups. This particular outcome was probably not Syria’s original intention, but Russia’s presence as a party in the conflict expedited it. In the process, some previously good bilateral relations such as with Turkey, and some already troubled relations such as the ones with Armenia and Azerbaijan, may have taken a few blows and become tenser. Considering the devastating consequences of the Russian bombing campaign in Syria, seeing these actions as part of a “peace plan” becomes trickier. Many participants drew attention to the fact that Russia was adding insult to injury by exacerbating the humanitarian crisis in Syria and not contributing to the humanitarian relief and aid efforts sufficiently. 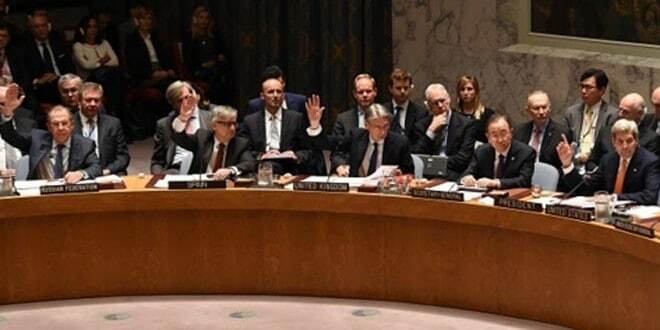 Still, some panelists argued, the eight-point plan suggested by Russia (a modified version of which was adopted by the UN) deserves credit on its own merits, and also for reducing the number of proposals and disorganized efforts that predate Russian involvement. Of course there will be obstacles in implementing it – i.e. the civil war will continue for some time, major tensions will emerge during negotiations, and it is unlikely that the international community and Syria’s national and local elites will agree on a common vision for the country. Even if the most that can be hoped for is a worse-off version of the Lebanese model, marked by “poverty, paralysis and sectarian segregation,” this is an improvement from the current death, destruction, and the unprecedented humanitarian tragedy. The panel and the ensuing discussion also shed light on Russia’s plans for Syria’s transition, and future political arrangements in Syria. First, Russia concedes that a pluralistic system is a must to keep the country together. The main sticking point is that Russia does not share a Western notion of democracy, or “an illusion of Western-style democratization in Syria” in a participant’s own words. Better power-sharing through a degree of decentralization is the best bet for Syria in the Russian mind. Second, there should be a general improvement of the basic state functionality in Syria, which is again possible if a better division of power is achieved to strengthen state institutions. Third, Russia still regards the Syrian army as the only organized element on a national scale and, according to a panelist, would support a secular regime controlled by generals or former generals, although a military regime is not ideal but still better than the current war. Fourth, contrary to widespread belief, Assad’s departure is now a more flexible possibility rather than the decisive issue for Russia to agree on a transition roadmap. Finally, Russia will keep air and naval bases in Syria, and perhaps give those bases different functions such as safeguarding minorities like the Alawites and Christians. The takeaway from the discussion, where different and sometimes conflicting views were expressed, was that Russia is an important actor in any calculations concerning the future of Syria, and that fora such as this one are needed to understand the Russian position better.